The Crown is seeking the maximum sentence for a pilot who nearly shut down Hydro-Quebec's entire power grid in a 2014 act of sabotage. Final arguments are being heard today in the case of Normand Dube, described in local media as a "pilot to the stars" for having transported well-known Quebec entertainers in the past. Prosecutor Steve Baribeau says he wants Dube to serve a 10-year sentence for what he described as an unprecedented attack. Dube was found guilty in September on three counts of mischief after he used a small plane to cripple power lines carrying electricity to southwestern Quebec. The exact method used to create a short-circuit in the Dec. 4, 2014 attack cannot be reported under a publication ban imposed in the interest of national security. Much of the trial took place with the public barred, and the decision finding Dube guilty in September is partially redacted. Baribeau implored the judge on Wednesday to send a clear message to dissuade anyone thinking of carrying out similar crimes. The prosecutor told Quebec court Judge Paul Chevalier that no previous mischief case comes close to Dube's acts, which he said struck at the heart of institutions and affected many Quebecers. More than 180,000 people were left without power during two winter days as a result of the attack. 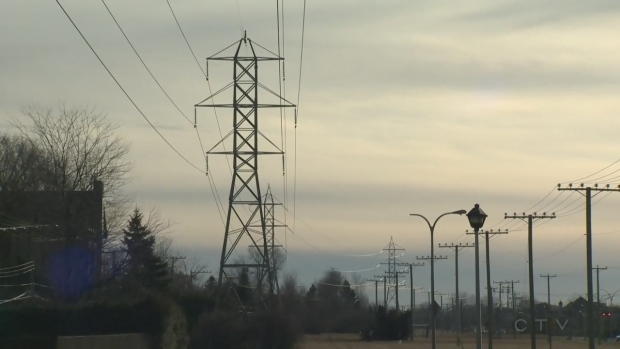 A former Hydro executive testified the outage cost the public utility $28.6 million -- a cost assumed by all Quebec taxpayers.